Let me introduce you to my new best friends - Fitbit Aria and Fitbit Flex. If you follow me on any of the social media sites you will know that I have 3 sets of Bridesmaids duties this year which = 3 dresses, which = time to slim a little. Don't get me wrong, I'm not looking to shed lots of weight but I'd like to zap the wings and the muffin top that I have for a long time now, developed a close relationship. It's now time to 'break up'. A Scottish Lass will become #askinnierlass and you can use that hashtag to track my progress if you so wish. I have downloaded 'My Fitness Pal' app on my phone and it is amazing for keeping track of my calorie intake and exercise output. I have joined 3 fitness classes - Tabata, which is a 30 minute, high intensity cardiovascular class, Kettlercise to build strength and add definition to my arms (hopefully) and Stretch 'n' Flex which is a mixture of Yoga and Pilates - so 'Yogalates'. I am also fitting in, where possible half hour runs to get my lungs into some sort of shape. 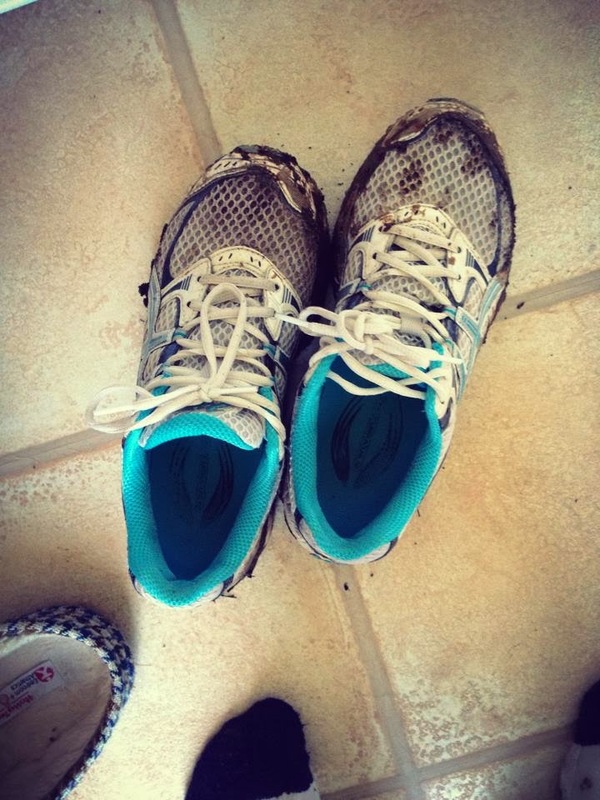 I tried a miles trail run earlier on today and I swear I wanted to be sick. My lungs were on fire. I have a treadmill at home but I'm more of an interval trainer on a 2:3 ratio i.e. 2 mins running, 3 walking, however I hope to be able to do a solid 30 minutes in the future. Oh and I had a 'Shrinking Violet' body wrap on Tuesday there but that's an entire blog post on it's own. This is where these lovely, though pricey, pieces of equipment come in. 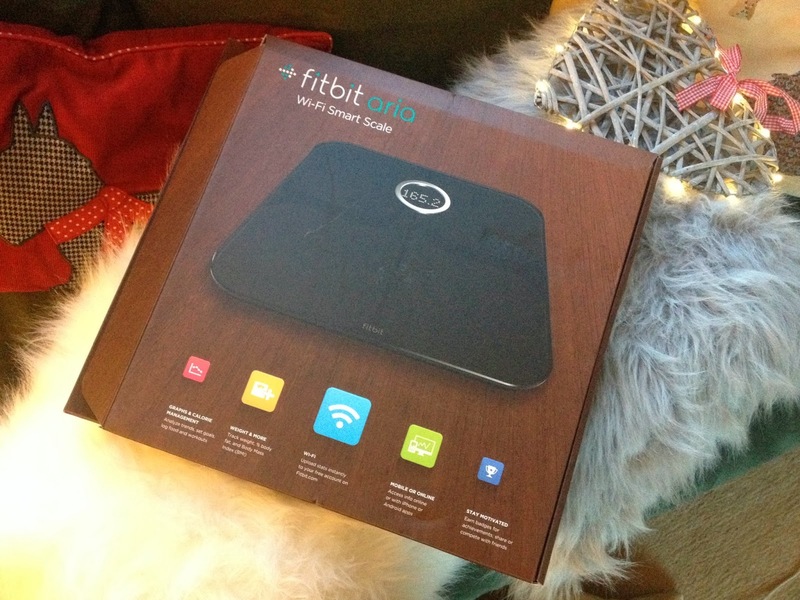 The Fitbit Aria, is a set of wireless enabled scales that accurately assess not only my weight but my body fat too. You know the days you stand on the scales and are totally downhearted because you haven't dropped pounds? Well, the Fitbit Aria will show if you have actually lowered fat. After this, all your data syncs with your laptop to a Fitbit dashboard, or to the Fitbit App (free) on your iPhone or Android. On the dashboard, you will see a daily log of your weight, BMI, calories burned etc and if you sync that also with your My Fitness Pal apps it will log your exercise and food intake. It is brilliant and so easy to track your progress. It does cost you a whopping £99 but is so worth it for it's accuracy. This is a quick glimpse at my Dashboard today, as you can see I have taken over 4000 steps, have done over 2 miles of running, it has noted my calorie intake so far and it shows how many lbs to go until my first target is met. If you click any of these boxes it will navigate you to a new page where you can see the stats in more detail I.e. - under "Weight' you'll see your weight for the day, BMI, so on and so forth. I also purchased the Fitbit Flex - however it isn't compulsory to have though it is needed if you want to track how many steps you have taken. 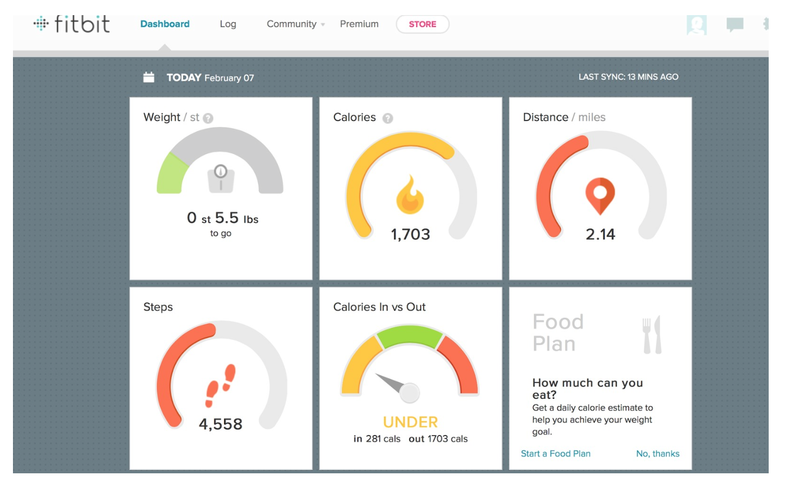 You can log your activity through connecting your scales to your Fitness Pal so unless you want to know about how many steps you are taking it isn't really needed. In saying that, it does track your exercise as it can tell when you speed up to run but like I say you can use any other App and then log it on your fitbit dashboard afterwards. This is the lazy way of doing so and hey if I have to run and eat healthy - I'll take the easy road where I can. . . It is also great at tracking your sleep patterns and if you are away on holiday and don't have access to your Aria scales at least you can still keep track of your activity levels whilst when synching with your phone, laptop or iPad. Fitbit Flex is £79.99 and like I said before it isn't compulsory to have with the Aria, it's an optional extra - comes down to how much spare pennies you have. I'll keep you posted with my progress over the course of the next few months - Weddings July/August & September. Though promise not to bombard you with blog posts about it (that's what Twitter is for). Do you have any special events you are preparing for? Perhaps you are a fitness fanatic - share your stories. Sounds like a great thing! These are a great idea, it would be so easy to keep a track of your progress. I'm going away to Italy this summer so I need to start the diet soon! 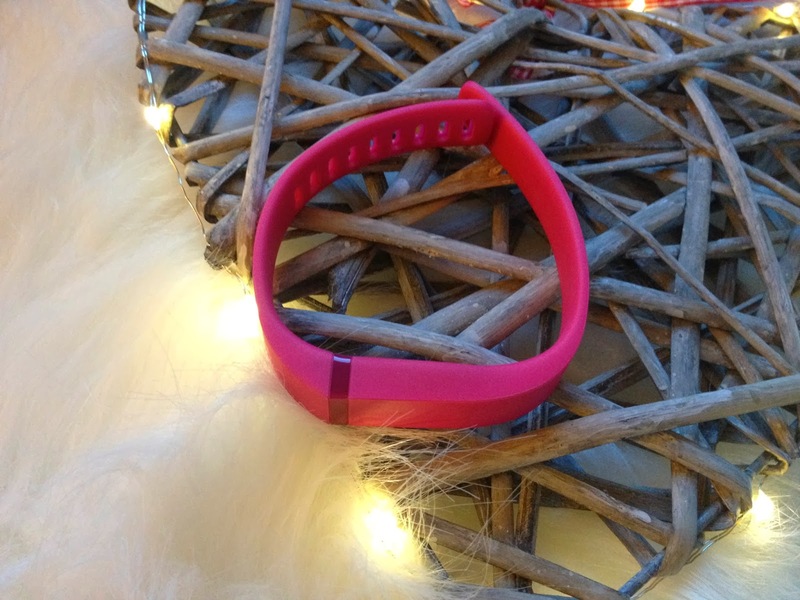 I absolutely love my Fitbit flex. Yesterday I just walked on the treadmill while watching my soap until it buzzed me that I'd reached my goal! Ohh this sounds fun. Hope you reach your goal. You go girl! I had one of those fitbits, really interesting, I was a bit horrified how little I did! I left it on when I went on a flight and it went a bit nuts, I'm sure I can reset it but I haven't got round to doing it!! Tssk, need to move more! !